This is a relic dating back to the 4th century. It is called the bust of St. Bartholomew. St. Bartholomew was the first patron saint of Villavallelonga. 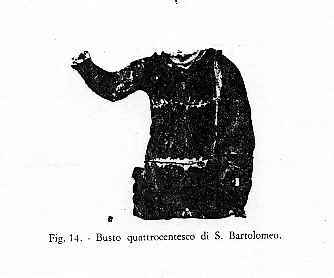 The garment is currently located at the church in Villavallelonga.